Combine all the dressing ingredients in a blender or food processor and puree until smooth. Cover and chill until ready to serve. For the salad, cut each nectarine into 8 slices. Toss with oil in a perforated pan on a grill over medium-high heat and cook for a few minutes on each side to lightly brown. Season the chicken with salt and pepper; grill for about 5 minutes on each side or until cooked through. Let cool in the fridge. 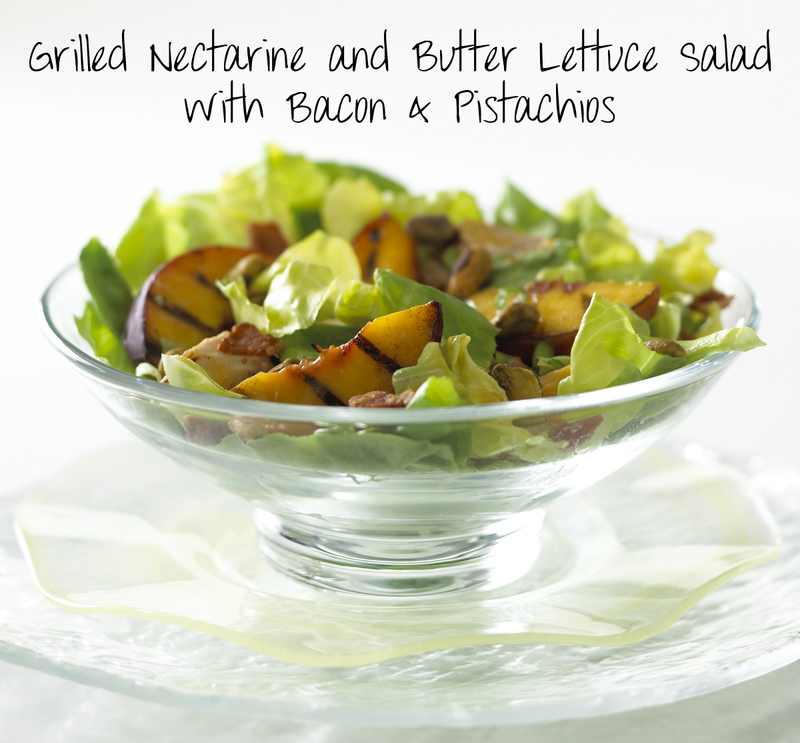 For each serving: Toss 1 1/2 cups lettuce, about 2 tsp pistachios, 1 strip crumbled bacon, 1 Tbsp green onion, adn about 2 Tbsp of dressing in a large salad bowl. Arrange on a salad plate. Cut the chicken into bite-size strips adn fan 6 ounces over the lettuce. Arrange 6 grilled nectarine slices on top. Drizzle with more dressing, if desired.